Tui chub, approximately 10 cm (4”) long. Date: 7/10/2007. Tui chub (Owens tui chub). Location: University of California White Mountain Research Station. Photo by Joe Ferreira, California Department of Fish and Game. Tui chub, approximately 10 cm (4”) long, frontal view. Date: 7/10/2007. PLEASE NOTE: The photos and information shown here are for the species Tui Chub, of which the Owens Tui Chub is a sub-species. Tui Chub are capable of adapting to a variety of environments and dietary habits. They are found in springs, ponds, lakes, large sluggish streams, and in the shelter of small swiftwater streams. Typically Tui Chub habitat is characterized by slow water and abundant aquatic vegetation. Most Tui Chub waters have summer temperatures in excess of 20°C. The optimal range is 15-30°C, though these fish have shown the capability to survive from 2°C to 36°C. In addition, Tui Chub are tolerant of dissolved oxygen levels less than 4 mg/L and can handle highly alkaline waters such as Eagle Lake. Tui Chub diet may vary with location and time as these fish are opportunistic omnivores. 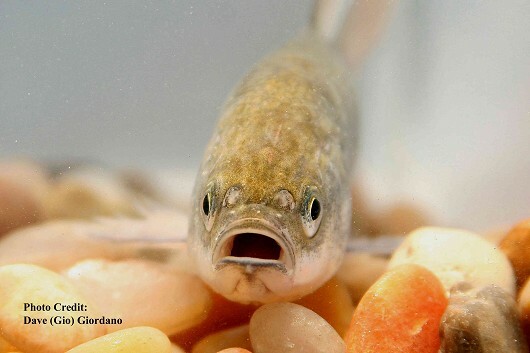 Fish in one location may focus on detritus and supplement with invertebrates or plants, whereas in a different water body they might focus on benthic macroinvertebrates and supplement with fish and fish eggs. Most often Tui Chub feed on detritus, organic matter, and plants. 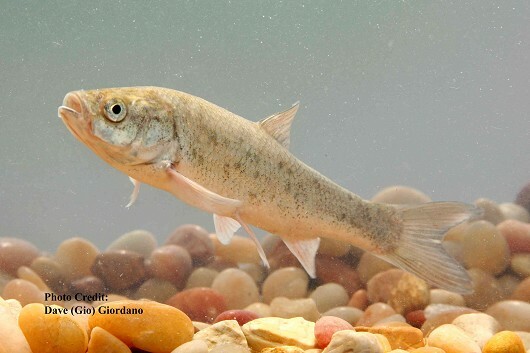 The characteristics of a water body affect both feeding and growth in these fish. Tui Chub found in ponds or springs rarely exceed 20 cm SL, though in large lakes Chubs commonly reach 30-40 cm SL. Tui Chub reach sexual maturity after 2-4 years and spawn in spring and summer, with most breeding occurring between April and July. 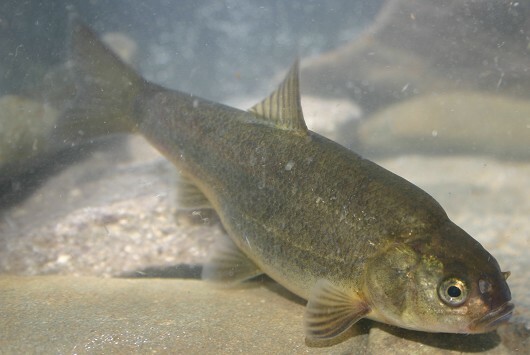 In some isolated ponds spawning may begin as early as February and continue into August. Fecundities are typically high, and eggs sometimes ripen at different times, leading to multiple spawning sessions per season. Typically Tui Chub spawn in shallow water areas with adequate gravel substrate and aquatic vegetation. One female may be surrounded by several males waiting to fertilize eggs. The fertilized eggs stick to the substrate or aquatic plants until hatching 3-6 days later. The resulting larvae feed in a pelagic state until reaching a length of around 2 cm, at which time they move towards shallow water. Tui Chub may live up to 33 years in large lakes, though they tend to have shorter lifespans in small isolated waters.